Singapore is one of the best places in the world to eat out no matter what your budget, so it's no surprise that most homes have really small kitchens. But that doesn't mean that your small Singaporean kitchen needs to be pokey or lacking in verve. There are lots of ways to make even the smallest kitchen look and feel like a functional space in a small home. 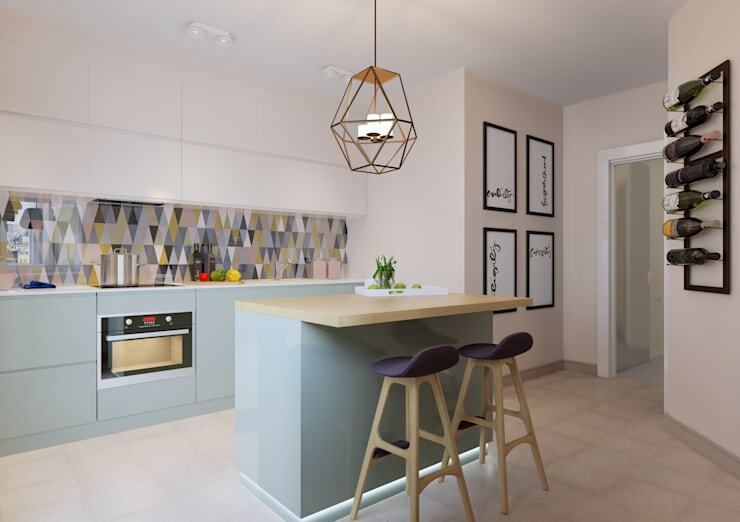 Today, we present 13 small kitchens perfect for Singapore. 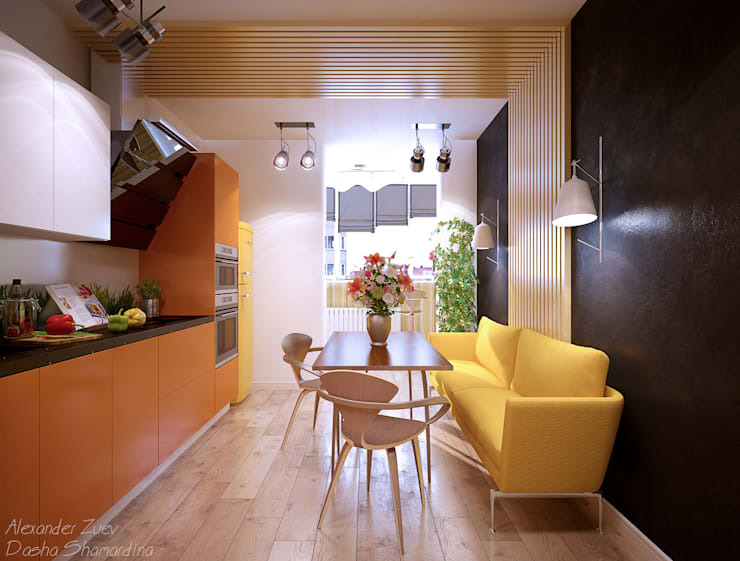 Most of them are good examples of how to integrate a kitchen into a living areas and others we've included because they are simply great small kitchens. Let's check them out! This little kitchen has an wide bench just under the window. It's an excellent idea because the added breakfast bench space doesn't intrude on the walk space. It also creates the opportunity to really take the time to enjoy a view out of the window as well. 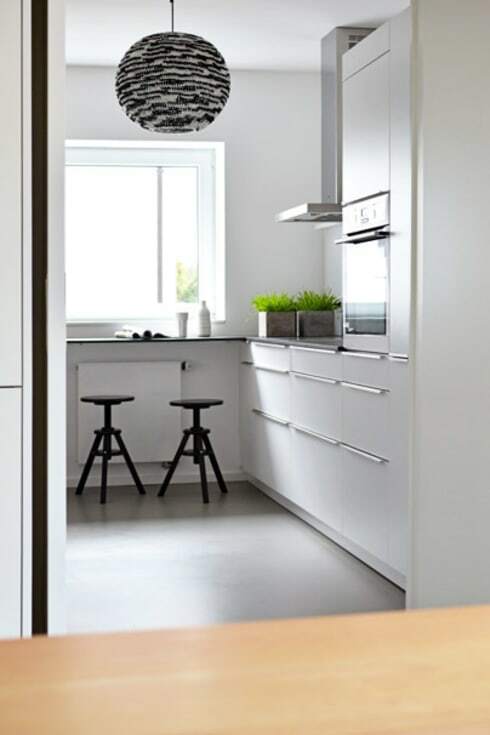 We love this small kitchen because it has that Nordic geometric aesthetic that is so popular in Singaporean homes at the moment. It also has a kitchen island that perfectly separates the living room from the kitchen. Here we have another well placed kitchen bench/divider. It may be small, but the chunky proportions of the wooden bench give the small kitchen solidity and presence. 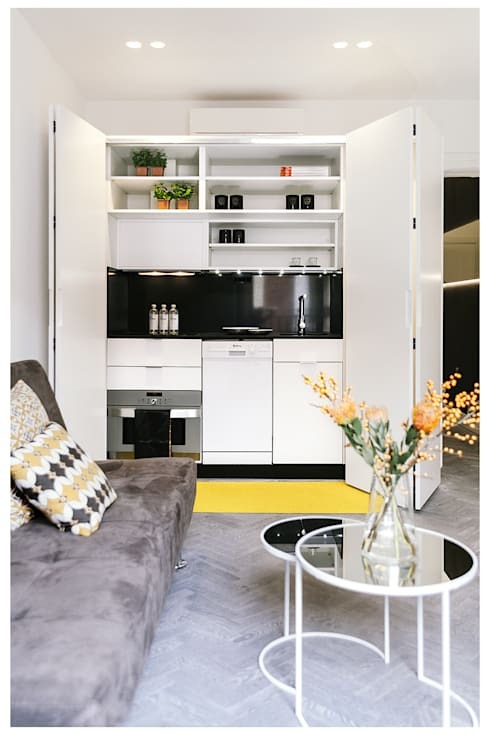 This foldable kitchen is perfect because you can hide away all the mess! Well, perhaps not. But it is a good way to really separate the kitchen area from the living area when it's not in use. Singapore is the garden city and natural themes play a big part in many home interiors. 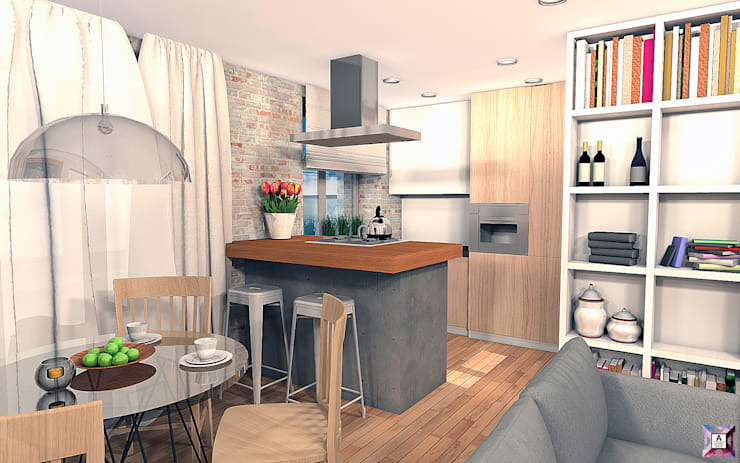 Here we have a kitchen with earthy wooden textures teamed with a modern design. 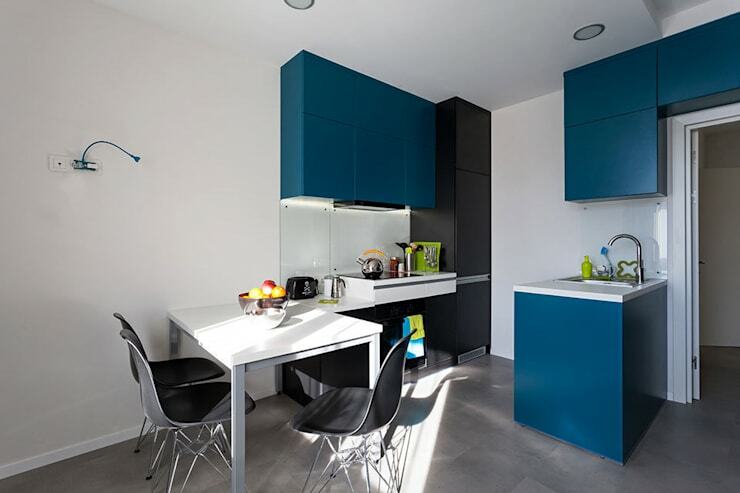 This little high gloss blue kitchen has a contemporary feel that's perfect for life in a cosmopolitan city. The black bench also looks quite slick. 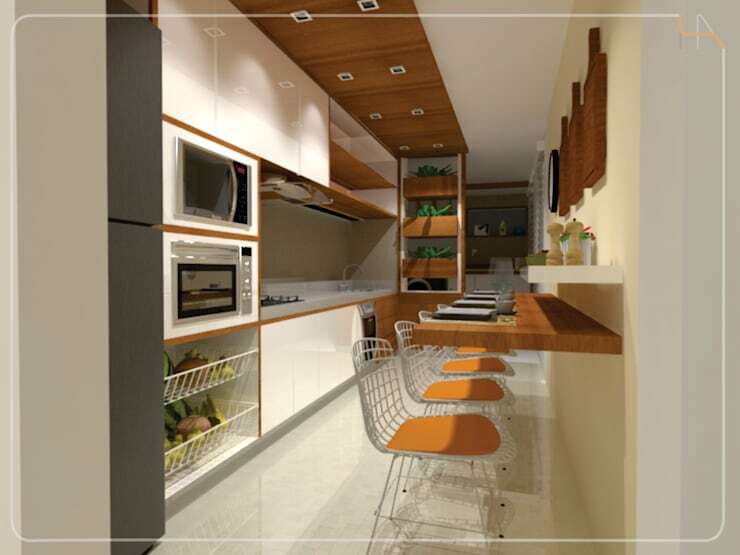 This kitchen layout creates a nice edge to the hallway entrance area on the right and the living room on the left. It makes the most of the wall space and provides a good amount of dining space too. 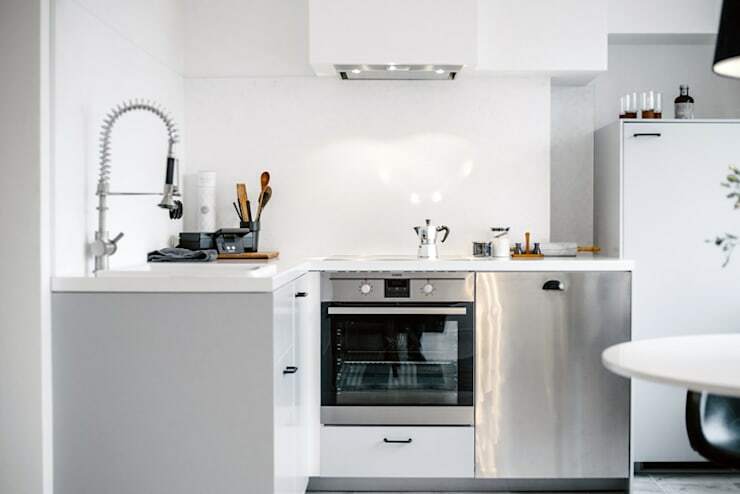 This white and chrome kitchen has a lovely sparkling effect. 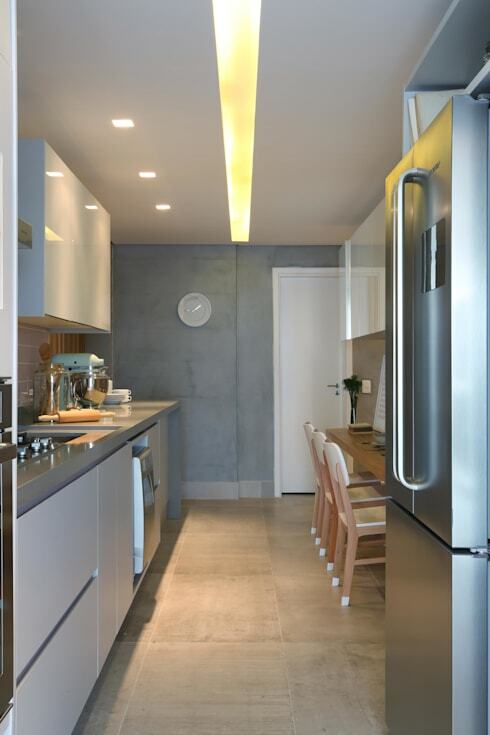 The chrome or steel kitchen cupboard doors reflects light and that makes this little kitchen feel quite pristine. 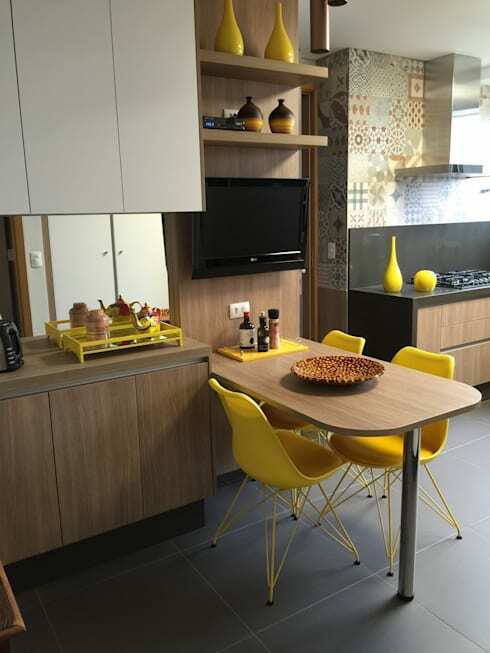 We love how the canary yellow kitchen bench and splashback are formed from the one material here. It adds a lot of life to this kitchen and shows that even the smallest kitchen can be a real showpiece with the right design. We love the warm and cosy collection of subtle textures and colours on display here. The rounded kitchen table also has a slightly retro feel that harkens back to the 1960s. 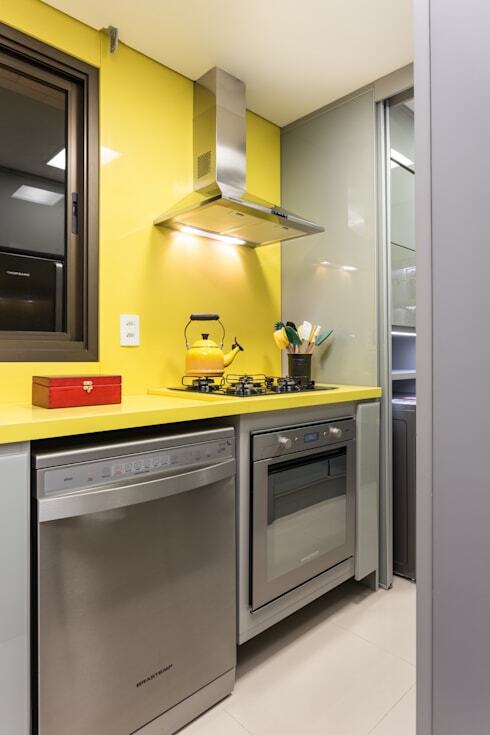 This galley style kitchen may be small, but those very constraints are used to make a bit of a style statement with the long and narrow panel light on the ceiling. 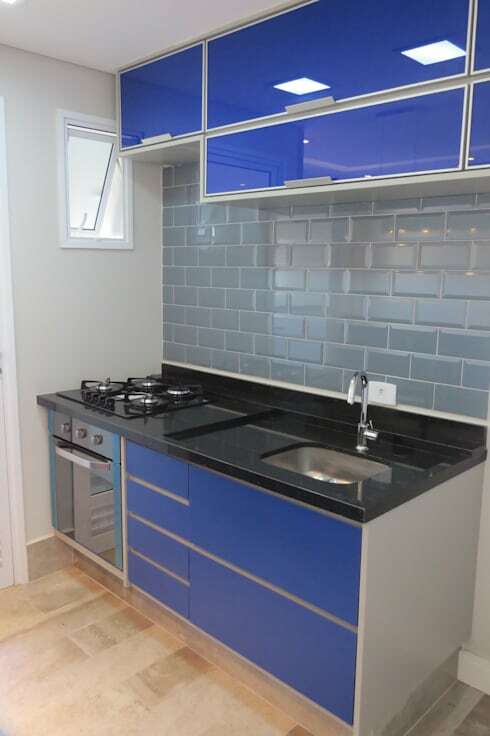 Here we have another galley style kitchen. This time one side is used as a breakfast bench. The wooden elements all tie the design together and make it feel quite slick. It is definitely not common to see a sofa in the kitchen, but this may be inspiring for those who want to create a kitchen with the vibe of a living room. Check out the awesome black feature wall on the right too. For more home ideas, have a look at 7 home decor mistakes you need to stop making. Which of these small kitchens has caught your eye?